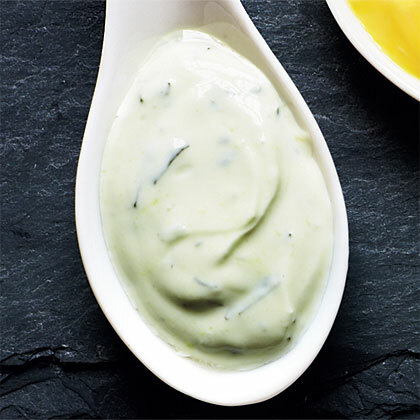 Wasabi Aioli serves as a pungent condiment to fish, veggie burgers, meats, and sandwiches. 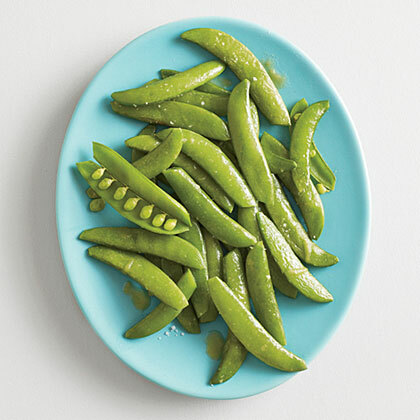 Wasabi powder adds the right amount of spice and makes Steamed Snap Peas with Wasabi Butter a delight to eat. 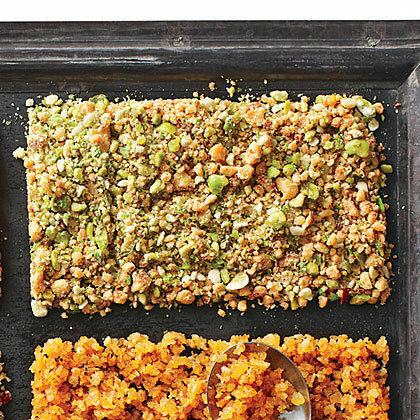 Wasabi Peas & Almonds Coating takes you beyond the basic breadrumb topping for your favorite pork or chicken cutlet. 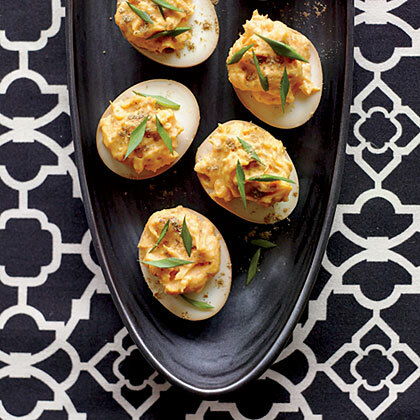 Wasabi Yogurt packs a cool, creamy punch. We like it with our Wasabi Gravlax. Taste and Texture: Forward, horseradish-y heat from wasabi (a classic Japanese flavoring), with pleasant tang from sour cream and lime. Thick consistency, great for dolloping. 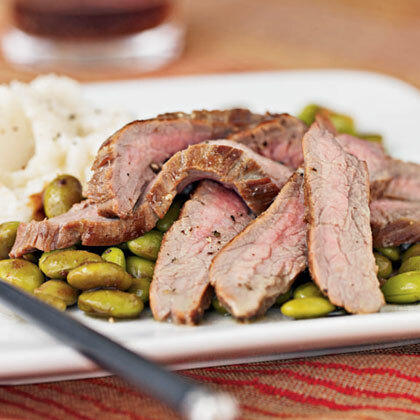 Try with: Grilled or roasted beef, chicken, or pork; sautéed or grilled shrimp; baked potato; raw veggies. 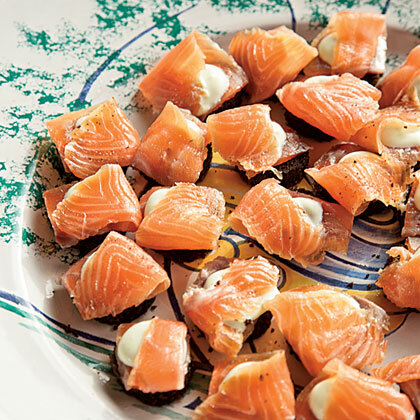 Wasabi Gravlax packs a slight punch thanks to the wasabli powder that the salmon is cured in. 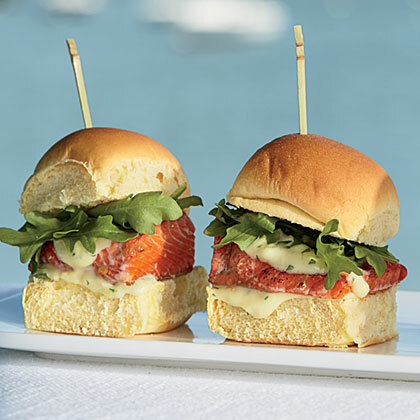 For a little burger with big flavor, try Tuna Tartare Sliders with Wasabi Mayo. 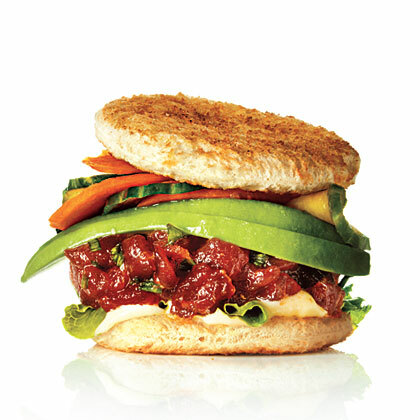 This succulent tuna slider comes with a wasabi kick. Wasabi powder, the Japanese version of horseradish, adds sharp, fiery flavor to this tuna salad. Look for this condiment in the Asian section or spice aisle of large supermarkets. 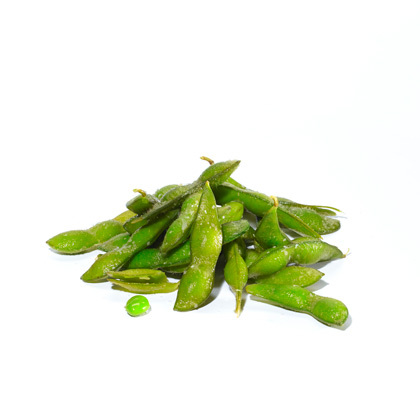 If you don't have wasabi, you may substitute 2 teaspoons of horseradish. Or simply omit the wasabi for a traditional tuna salad. Wasabi paste, Japanese horseradish, has a distinctive flavor. 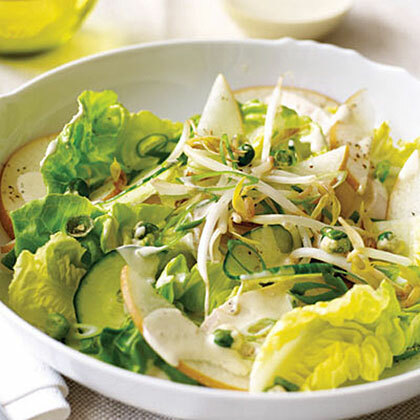 This spicy Japanese-style salad gets its kick from wasabi. In place of the pungent wasabi, you could use an equal amount of powdered dry mustard. Notes: Look for wasabi powder in the spice or Asian section of your supermarket or in an Asian grocery store. 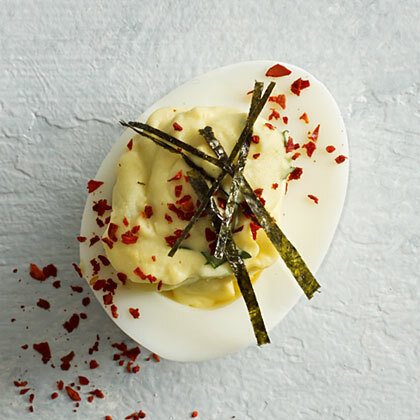 If making wasabi mayo up to 1 day ahead, cover and chill. Pretty pale green wasabi caviar is a mixture of whitefish roe and wasabi powder; it's available at specialty food stores. You can also buy the two ingredients and mix them yourself. Wasabi or Japanese horseradish has a very sharp and pungent flavor. We've used it here to add flavor to the mayonnaise. Wasabi powder or paste can be found in most large supermarkets or in Asian markets.